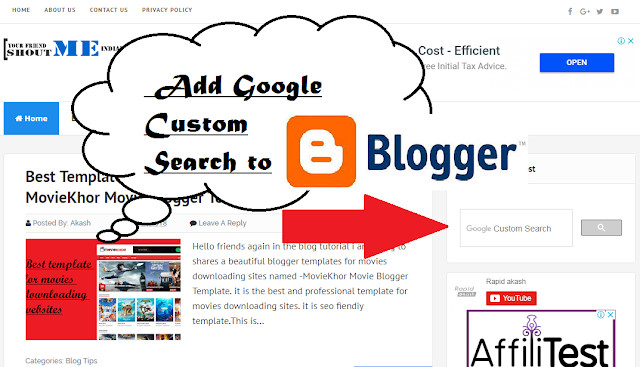 Hello friend again welcome to the new post about Blog tips and today in this tutorial i wll show you that how you can add Google custom search engine on your blog. What is Google custom search engine ? 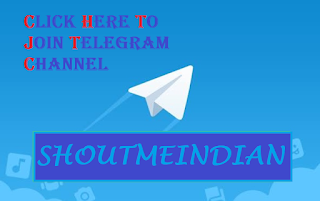 Google custom search engine is a product developed by Google which gives us facility to search our blog post by using the title or using the keywords of the post.if you search any thing then it show all the relevant content on your site. 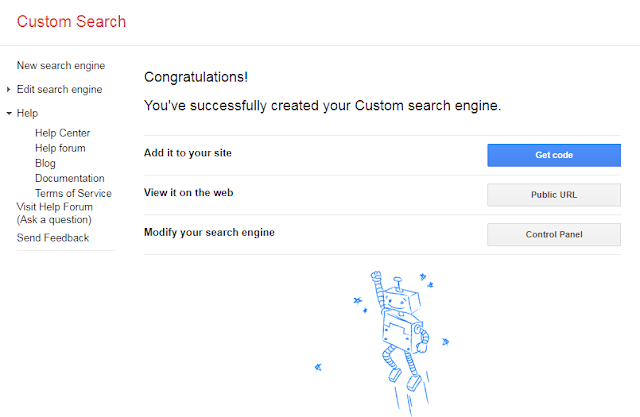 Why to use Google custom search engine ? A Google custom search engine gives a great experiences to navigate and find any post using keywords.if your blog contain many post then your visitors can find any post using this plugin, without wasting their times. But, the main drawback is that the search results generated by these search boxes are not exact. In this case, you can use Google custom search to get better search results on your blog. I recomend you to use A Google custom search engine on your blog because it makes easy for your visitors to navigate and search any post in few minutes and the main thing is that it show exact match from your blog. 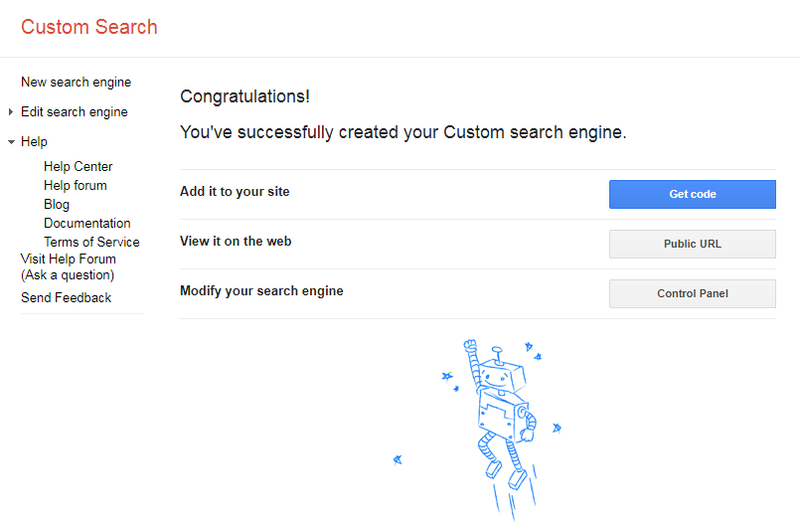 step 1: Visit the official sites of Google custom search engine. 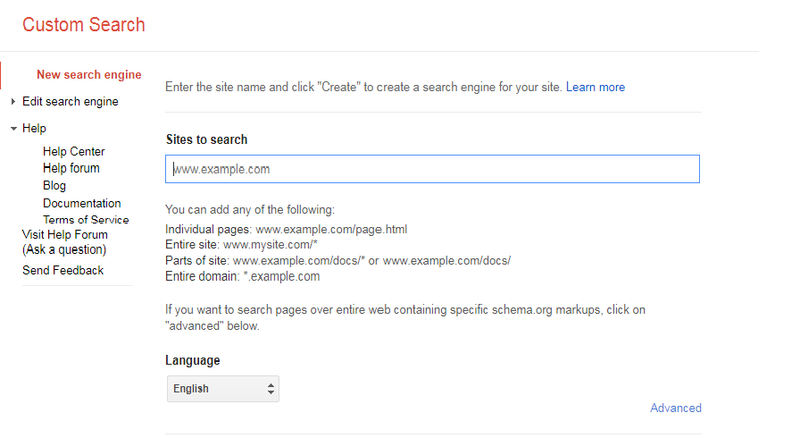 step 3: Add your website URL In “Sites to search”, section. step 4: Choose language. Name your search engine. In advanced options, you can add up to 10 schema.org types to your search engines (optional). step 6: Now click on the 'get code' option, copy the code. step 8: Now, give a title (optional) and paste the code. Click on “Save” button. Thanks For shearing this very informative blog.MyDigital Crown also provide SEO Service in Mumbai. If anyone require detail information then please visit Digital Marketing Company.